Name/TitlePhotograph of Winston Churchill and General John French at Salisbury Plain, 1910. About this objectPhotograph of Winston Churchill riding alongside General John French, 1st Earl of Ypres. 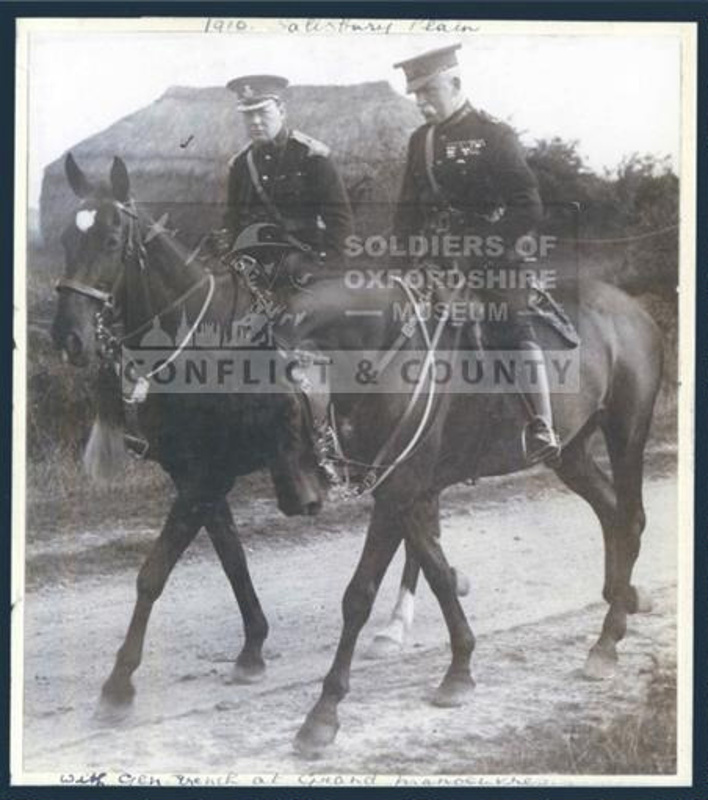 Captions read '1910 Salisbury Plain' and 'with Gen French at Grand Manoeuvres'.